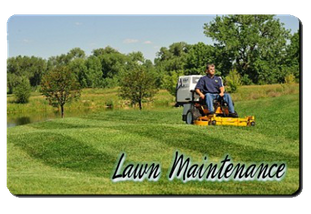 Our lawn maintenance programs consists of mowing the property on a scheduled day each week, string trimming and edging all walkways then blowing any resulting clippings from concrete areas to leave your property looking its best at all times. Beautiful landscaping is a worthy investment, our skilled staff can suggest several options that will not only add value to your home or business but save you energy and money as well. 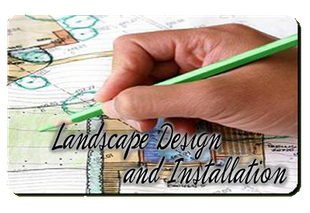 After your consultation our expert staff will begin working on a 3D landscape design so you can see it before you buy it! 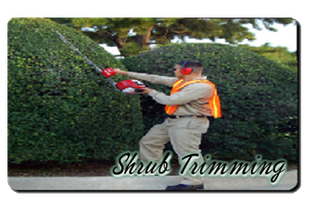 Nicely trimmed shrubs compliment you and your home or business. Shrub trimming can be scheduled 1 - 3 times per year and includes all cleanup of debris. What annual plants may lack in longevity, they certainly make up for in appearance. 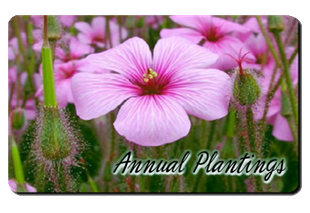 These plants usually flower beautifully, with vibrant hues that most perennials cannot match. They are also plants that give any garden an immediate boost of color. We also offer a full range of landscape maintenance including our monthly maintenance package, you get all the enjoyment and pleasure of a beautiful property as our staff will oversee your property to make sure it is always well manicured. 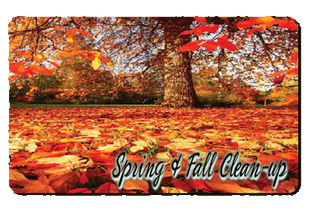 We offer full spring and fall property cleanups to prepare your property for the upcoming months. This service consists of removing all leaves and debris from the lawn, flower beds and driveways/parking lot. We also offer lawn dethatching and aeration to promote the health and beauty of your lawn. 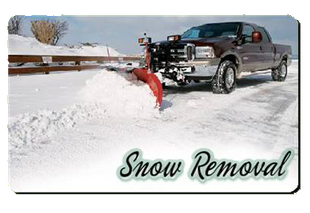 When the snow falls count on our 24HR snow plowing service. We will make sure your property is always accessible whether it’s so you can get to the doctor of for customers and employees. Snow plowing is done with as little as 1” of accumulation to reduce to risk of surfaces icing over. "CJ Cutting Edge did a great job with our landscaping in our backyard! They literally transformed our yard into something beautiful. They are very friendly and professional, I would recommend them for your next landscaping job!" "CJ Cutting Edge is a VERY GOOD company. Chris is very professional with his lawn service, landscaping and snow plowing work. He always was on time and I never had to call when the snow came. He was also courteous in the way he treated my wife and me. I would highly recommend CJ Cutting Edge to my friends and family." "I have hired many companies for lawn cutting, CJ Cutting Edge is by far the best." "Chris, you and your team do a awesome job! Thank you!"